As the summer kicks into high gear, many Minnesotans can't help but to think of late August. The Minnesota State Fair is the biggest event in the state every year, drawing millions from all over the state to the fairgrounds. Nothing really has to change from year to year to get folks back to the "The Great Minnesota Get-Together," but hearing about new foods, concerts and events always sweetens the pot. This year, there are a host of free concerts. The Grandstand is always a huge draw for music fans, but for those not looking to spend money on concert tickets, there are plenty of other options at 2015's fair. Bandshell Tonight! has plenty of great free shows; Andy Grammer, who is a rising pop star with his current hit, "Honey, I'm Good," will be the most notable name to put on a free show at the fair. Reel Big Fish is another significant name to be playing a free show this year. This group was one of the biggest names of the short-lived ska-punk phase; though their moment as a heavy hitter may have passed, they still have plenty of great tracks to entertain a live crowd. Those who want to have a little nostalgia for the mid-90s should find this concert right up their alley. Local musician Charlie Parr will be playing a few times throughout the fair. He has a local following of fans who love his blues-y style. He has many shows throughout the fair this year and hopes to grab some new fans with each performance. There are many other free concerts throughout the 12 days of the fair; check the Minnesota State Fair's website for more details on concerts and everything else fair related. Who doesn't love beer and live music? 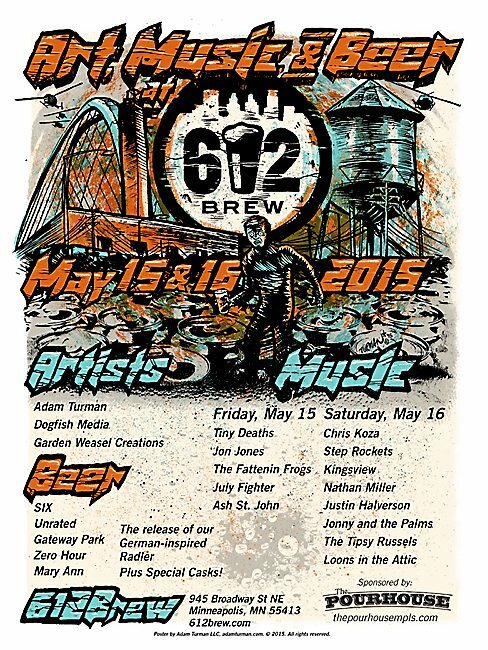 Well, if you don't, then this event is not for you -- but if you are in the category of loving beer and music, 612 Brew Art Music and Beer Festival has got a weekend of fun for you. This event is in conjunction of the Art-A-Whirl festivities that same weekend. Oh, the best part? The event is open to the public and free to all. On May 15th and 16th, Northeast Minneapolis will be lively with many live concerts, an open studio to check out talented local artists, and of course, beer from 612 Brewery. The brewery will be serving its five top selling beers during the event. Friday night will play host to five bands and Saturday will showcase eight bands -- the headline acts include: Ash St. John, Nathan Miller, Loons in the Attic, and July Fighter. With all the beer and entertainment, those in attendance are sure to get hungry -- well, worry not because there will be six food trucks on hand to give plenty of food variety to quench any hunger. To learn more about this event, check out 612 Brewery's website. The Walker Art Center will play host to one of Hollywood’s biggest directors on May 5th. 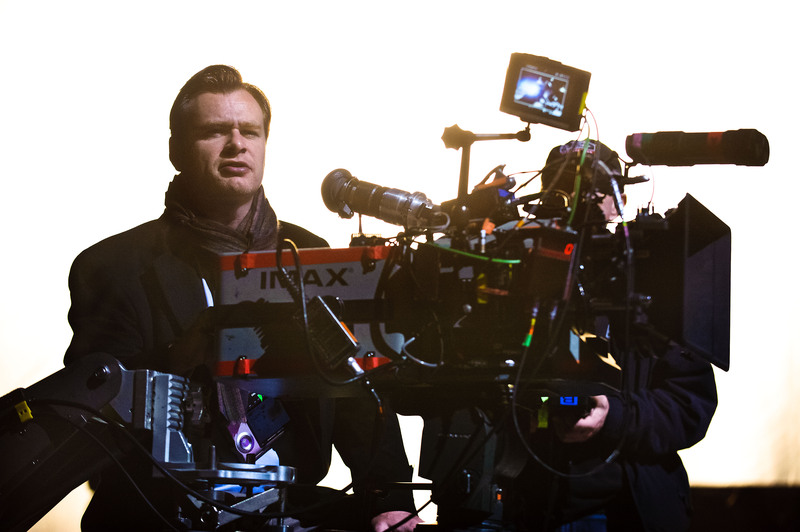 The Dark Knight and Inception director Christopher Nolan will be visiting Minneapolis to have an open discussion about film with Variety movie critic Scott Foundas. The London filmmaker has a huge following, so this event is sure to be in front of a packed house. Over the past 25 years, the Walker Art Center has had many acclaimed filmmakers for their Dialogues & Film Retrospectives program. The series has hosted Clint Eastwood, The Coen Brothers, Tom Hanks, Jodie Foster and many more. Each of Nolan’s films will screen at the Walker to freshen attendees to his filmography. Nolan, one of the very few “traditional” filmmakers left in the business, still shoots his films on actual film, not digital cameras. That is sure to come up in the cinematic discussion, as almost all of Nolan’s peers shoot digital. In honor of Nolan’s celluloid allegiance, his films will all be shown on 35mm film. Prices vary for the screenings depending on if you are a member of the Walker, a student, or just the general public. Tickets for the Nolan discussion will go on sale April 7th for Walker Film Club members and the general public on April 21st. Tickets are guaranteed to sell out, so if you want to go, you better plan ahead. Contact the Walker for more info, by either calling 612-375-7600 or visiting walkerart.org/tickets. In 2015, the Minnesota State Fair will be even more of a special event for those who love country music. For those who love country music superstar Carrie Underwood, the Minnesota State Fair will be a can't miss event. The absolutely stunning singer will play a concert at the fair's Grandstand on Saturday, August 29th. 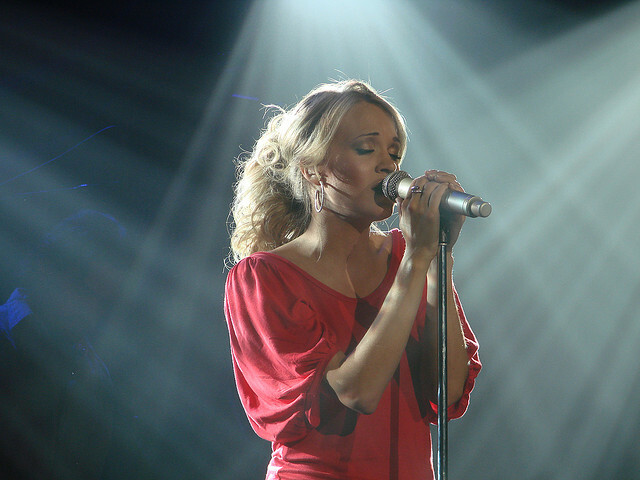 Since winning American Idol in 2005, Underwood has gone on to a very successful music career. She has sold more than 64 million records worldwide, recorded 18 number one singles and won six Grammys. Her accomplishments in the music industry don't stop there, but let's stop the gushing and move onto the details of the concert. Though the 2015 State Fair is still so far away, tickets for Underwood's concert go on sale next week on December 15th. The tickets range from $50-$65 and can be purchased at the fairgrounds, at http://www.mnstatefair.org/ or etix.com, or fans can simply call (800) 514-3849. Each year the fair does a great job of pulling in some of music's brightest stars for their Grandstand concerts -- it seems 2015 will be no different. 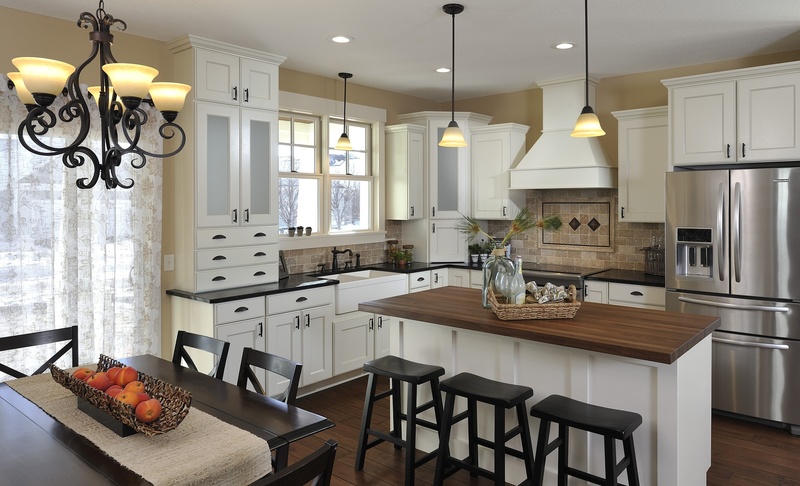 Spring hasn’t yet sprung, but the spring Parade of Homes is in full swing right now! This annual event, sponsored by the Builders Association of the Twin Cities (BATC), opened on March 2 for its three-week run. It doesn’t end until March 24, so you still have two weekends left to check it out! This year, there are 374 new Twin Cities homes on the Parade of Homes tour. That’s a 22 percent increase from last year. Homes on the tour range in price from $139,999 for a two-bedroom condo in New Brighton to just under $3 million for a luxurious home on a lake in Maple Grove. Like to homegaze? Though there are plenty of reasonably priced Twin Cities homes for average home buyers on the Parade of Homes, the tour includes more than a two dozen houses priced at more than $1 million. Three of the most decadent have been designated as “Dream Homes,” where visitors will be asked to make a $5 donation. Proceeds will be used to help the BATC Foundation build and remodel homes for families in need. There is also the Green Path Energy Efficient Home Tour to consider. This tour-within-a-tour features 133 sustainable Twin Cities homes. Each of the homes on the Green Path Energy Efficient Home Tour has been tested by an independent energy rater, and will feature a report on the home’s energy performance and other green features. Though summer is still a ways off, people who are yearning for a weekend on a (thawed) lake can get a taste of the sunny season at the Lake Home & Cabin Show in Minneapolis, February 11 through 13. At the secenth annual event, more than 250 exhibitors from across the country will be showcasing everything related to the lake home and cabin lifestyle, including the latest trends in decor, design, remodeling and landscaping. This year's special events include a live bat display by bat expert Rob Mies, an exhibit on loons, an exhibit on loons, and a Saturday appearance by actor/environmentalist Ed Begley Jr. Of course, there will also be the latest and greatest lake toys and recreational products.